Web Development Cutting edge website designs. Business Branding Proven results. Winning solutions. Software Development Engaging turn key applications. Enterprise Solutions Turning your vision into reality. Mobile Apps Incredible mobile applications. Promotional Marketing Guaranteed results with profits. Invest in yourself with a new start! 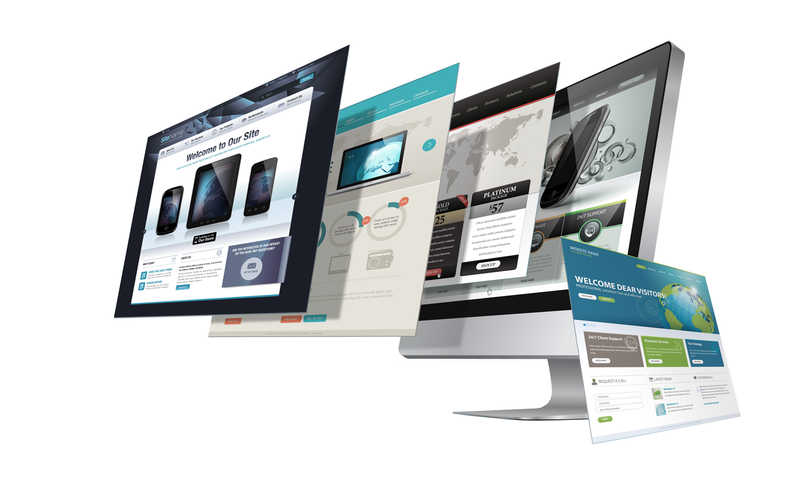 Your website is a representation of your credibility and business profile. We specialize in creating web designs that build a strong and durable web presence that delivers true results. We can help convert your ideas and concepts into an online reality. -> Audience research and discovery – Gathering all final specifications of your project, an in-depth research of the field, market pool, and target population, establishing a strategy to best accomplish your goals within budget and time frame, and conception of your website’s sitemap. -> Responsive design for smart devices and systems – Make website mobile / tablet friendly, design for small screens (compact, vertical scrolling design), simple navigation, thumb-friendly buttons, easy to read font without having to zoom in or to rotate the phone / tablet. -> Visually appealing and easy to use for newer generations – Reuse and migrate the theme of your website including color scheme, navigation, general look and feel , customize design of your website based on the layouts and structures, integration of latest front-end web technologies for enhanced user experience and industry features to reduce bounce rates, and call to action hooks throughout your website for lead capture & conversion rates. -> Social media integration for dynamic content – Create a social media marketing strategy, prepare guidelines for status updates, custom pages, backgrounds, and branding, ongoing support, market changes education, integration of social sites and profiles for one click management, integrated real-time updates from Twitter, Flickr, YouTube, and blog feeds. -> SEO-friendly – Onsite optimization with keywords, meta-tags & titles, website content writing with site map help, keyword research and dynamic content strategy, local marketing including keyword research, content writing and media management, PPC campaign management. -> Content management system for self-publishing and self-managing – Integrate back end WordPress to self-manage and self-publish content (text, images, videos), single sign on to manage website and blog, manage keywords on pages, posts, and images for search engine optimization. -> Content writing and brand management – Website content writing with onsite optimization, blog post writing, social media posting on Facebook, Twitter, LinkedIn and Google+, newsletter email blast, Facebook promotions and LinkedIn sponsored updates, monthly reports with website, social media and newsletter analytics, quarterly meeting to discuss strategy, analytics and future strategies. -> Maintenance, hosting with ongoing training and tech support – Hosting 20 GB space, 20 GB bandwidth, software, plug-ins upgrades, fix packs, security patches, weekly data and application backups, Google audit checks, fix site index errors and submit to the console, 404 redirects, monitor crawlers, emails left on domain / as is, ongoing technical support, website stats & real-time traffic analytics. Copyright © 2019 Leoserv Inc. - All rights reserved. Powered by Leoserv Inc.